Very little information exists concerning crash tests on the Aston Martin DBS. 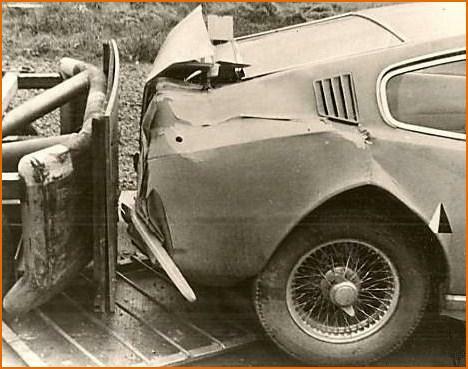 The Aston Martin Owner’s Club (AMOC) however mentions that DBS/5712/R was destroyed during a crash test at the MIRA without giving details about the test or the date on which it took place. Despite this, I have managed to find two photos which prove that tests did take place. 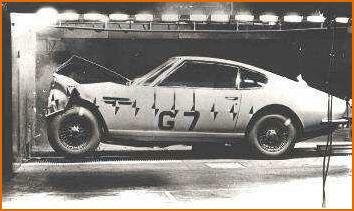 The first is an official Aston Martin photo of a crash test which took place on September 13th 1968. It is said that not only did the vehicle successfully pass all the U.S. safety norms at the time, but that the results obtained were even better than the even harsher safety norms introduced in 1970. 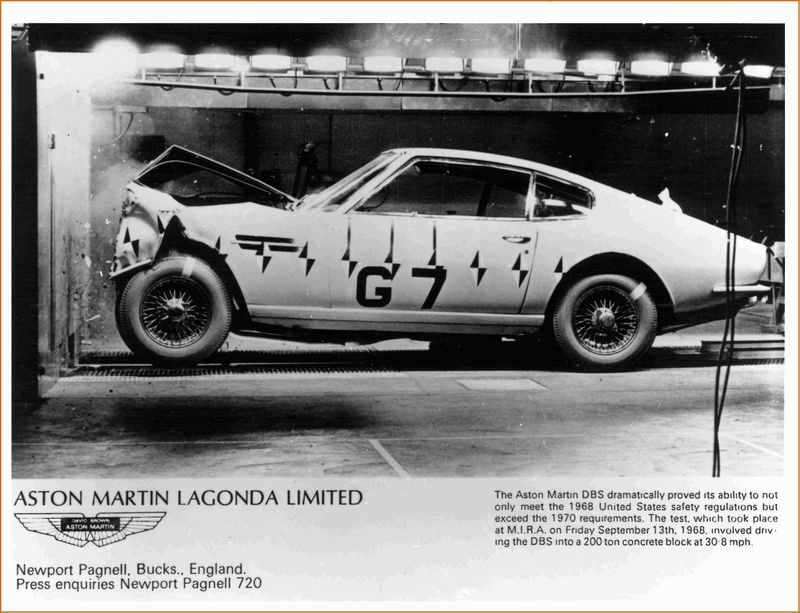 This crash test does not concern the car mentioned by the AMOC, as according to the Aston Martin production archives, DBS/5712/R was a series 2 car, produced in 1970. The car featured in both photos is a series 1 (hard to see in the first photo, but easier in the second) which still needs to be identified.